Distracted driving is one of the leading causes of car accidents, claiming over 3,450 lives a year. In America, 1,000 people are injured by distracted driving accidents each day. Driving distracted is a preventable cause of automobile accidents, but it requires individual commitment. Filing a lawsuit against a distracted driver is one way to enact real change and show that inattentiveness behind the wheel is not something we should tolerate as a society. If you or a loved one have been involved in a New York motor vehicle accident within the past three years and suspect distracted driving was a factor in the crash, contact Friedman, Levy, Goldfarb & Green to explore your legal options. You may be entitled to compensation to cover medical bills, lost wages, emotional suffering, and other accident-related expenses. Your initial consultation with a NY car accident lawyer at our firm is free of charge, and you never owe us money unless we win your case. Visual – something that diverts your eyes from the road. Manual – something that causes you to take your hands off the wheel. Cognitive – something that takes your mental focus off the road. Of the many possible distractions, texting while driving is the most dangerous type of distracted driving, as it involves all three types of distractions at once. While sending or reading a text, motorists take their eyes off the road for an average of five seconds. At 55 miles per hour, this is the equivalent of driving the entire length of a football field blindly. 36 times more likely to crash when distracted by drugs or alcohol use. 12 times more likely to crash when dialing their phones. 10 times more likely to crash when distracted by emotions (such as crying or appearing visibly angry). 10 times more likely to crash when reading or writing. 9 times more likely to crash when reaching for an item other than a cellphone. 6 times more likely to crash when texting. 5 times more likely to crash when reaching for a cellphone. 3 times more likely to crash when reading or writing an email. They also discovered that drivers were distracted at some point in more than half of the trips they took, doubling their risk of a car accident. Distractions were a factor in nearly 70 percent of the 900+ serious crashes examined. Texting while driving laws vary from state to state. In New York, the use of any hand-held cellular device (cell phone, PDA, laptop, tablet, pager, or video game console) while driving is prohibited. Exceptions include electronic devices built into the vehicle, such as GPS devices, hands-free Bluetooth mobile, and MP3 players. Motorists are able to use a mobile phone in-hand if they are calling to report an emergency. Cellphone use while driving in New York carries a fine of up to $200 for a first time offense, with two points assessed to the offending driver’s license. Drivers with multiple offenses face fines from $250 to $450. The penalties are stiffer for young drivers. Motorists under 21 years of age will have their license or permit suspended for 120 days after a first offense. If a second offense is committed within six months, a one-year revocation is possible. New York State Governor Andrew Cuomo has publicly expressed a personal commitment to cracking down on distracted driving. During the April 2017 Operation Hang Up campaign, State Police issued more than 16,000 tickets for talking or texting on an electronic device while driving. Need to File A Distracted Driving Lawsuit? Beyond tickets and fines, accidents and injuries represent the worst consequences of distracted driving. Death, traumatic brain injuries, paralysis, and broken bones are some of the most common injuries we come across in cellphone-related cases. 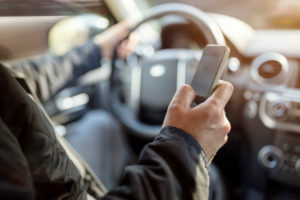 According to a federal study, these distracted driving accidents cost Americans $46 billion in economic loss and $129 billion in societal harm each year. Sometimes car crash victims recall seeing a motorist on a cell phone in the moments before the crash. Other times, motorists freely admit they were “distracted” in the aftermath of the accident. As experienced texting and driving accident attorneys in New York City, we have other ways of proving liability in a serious motor vehicle crash. We can check police records, locate and question eyewitnesses, and subpoena cell phone records during the discovery process of trial preparation. It’s not uncommon for settlements and jury awards in these cases to reach up into the millions of dollars. 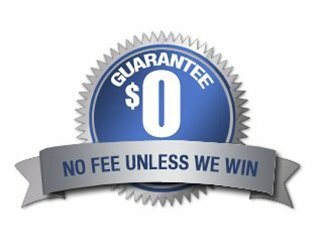 Remember, you pay us nothing unless we win money on your behalf. Call us to speak with an experienced NYC distracted driving lawyer today!